Shoestring, Taggart, Spender, Bergerac, Morse. What does that say to you about regional detective series? Too many? Another way of looking at it is, ‘people like them, let’s make some more of them’. We concur, because with any detective series worth its salt comes a trademark car, from Magnum’s Ferrari to Columbo’s rickety old Peugeot. So here are our ten favourites. Arguably the most iconic on-screen meeting of actor and car ever, Lieutenant Frank Bullitt’s Ford Mustang is the star of one of the greatest car chase sequences ever filmed. Ford has used this fact for various marketing campaigns and special edition cars ever since. 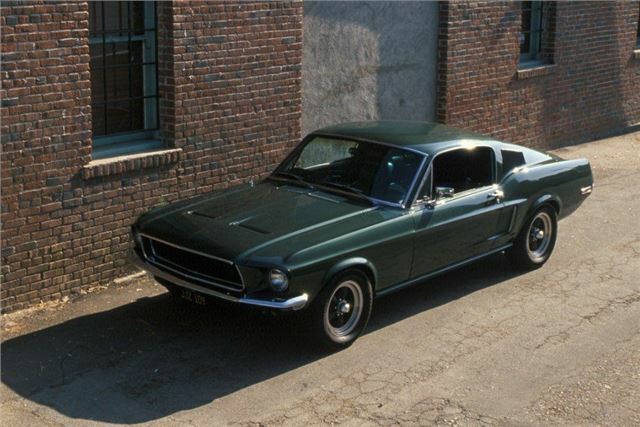 The near 11-minute car chase that catapulted the Mustang into movie history used two 1968 Mustang GT fastbacks, both borrowed from Ford, in pursuit of a black Dodge Charger. It fuelled the fire of a muscle car rivalry that still goes on today.